This news report looks at a recall of spicy sushi. 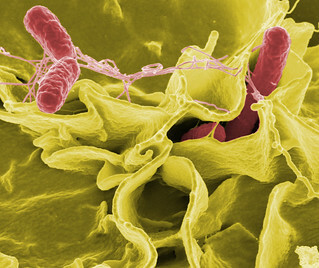 When this story was released, the source of the salmonella had not been identified. Check out this story! Think about where you would look with respect to the source of the salmonella. As of last week,(According to MSNBC) this incident had affected 258 people in 24 states and Washington D. C.
A frozen yellowfin tun product, known as Nakaochi Scrape, produced by Moon Marine USA Corp. is the likely source of the outbreak. This story highlights the need for quality control measures to be in place with respect to salmonella and other microbiology analysis.